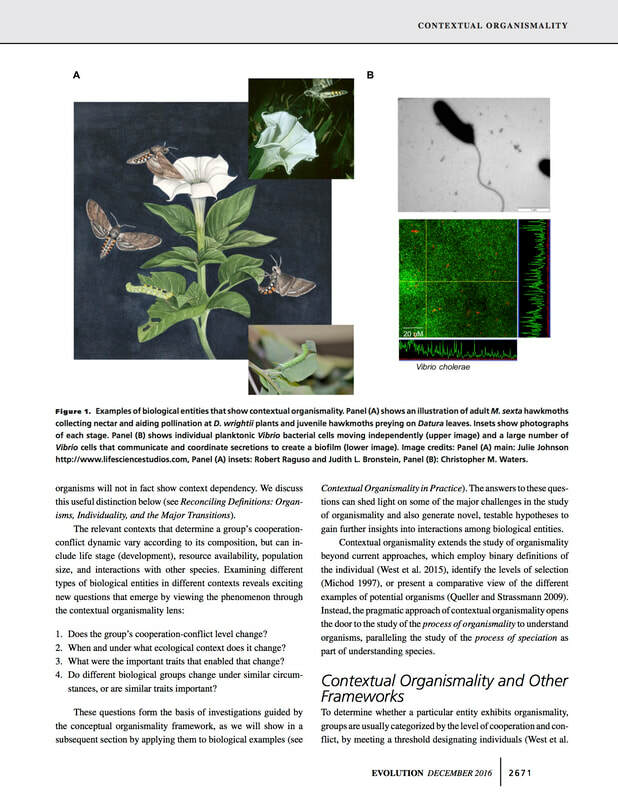 This painting depicts plant-pollinator mutualism interactions between a moth and its host plant. 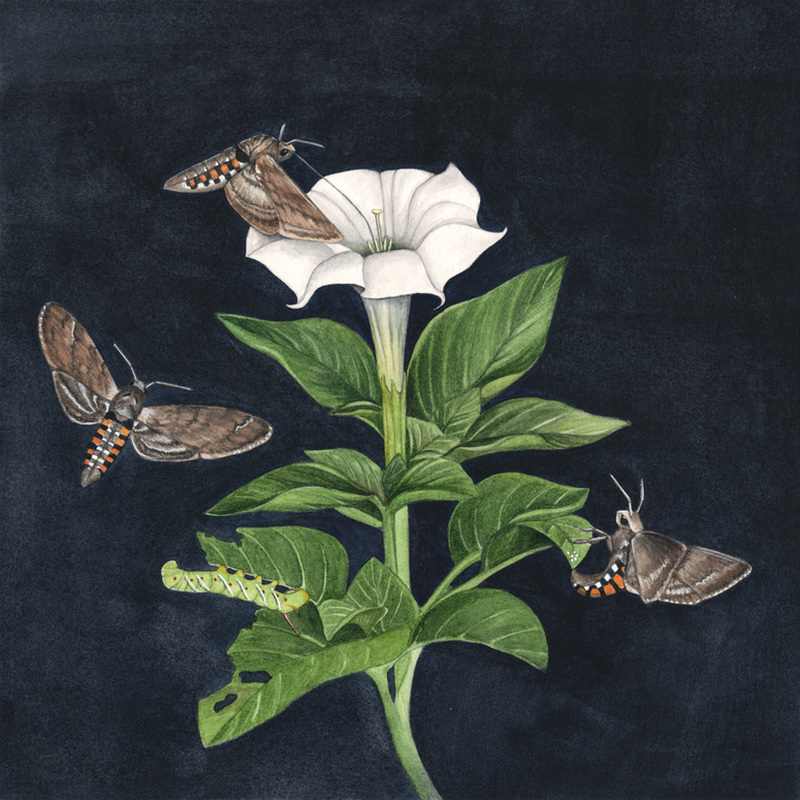 The moth, Manduca sexta, depends on the plant, Datura wrightii, for all of its life stages. The moth lays her eggs on the plant's leaves, the caterpillar eats the leaves, and the adult moth pollinates the plant.